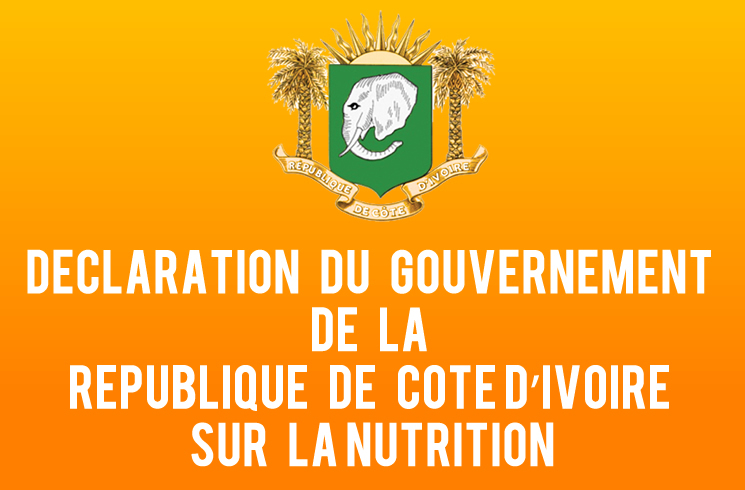 The Ivorian Government has collected Friday, September 16, 401 billion CFAF to finance its 2016-2020 National and Multisectoral Nutrition Plan (NMNP). The Ivorian authorities who were seeking 226 billion representing the gap to meet the overall estimated cost of 277 billion of which the Ivorian state supports 40 billion CFAF, expressed through the voice of Prime Minister Daniel Kablan Duncan, their satisfaction. Faced with this success that has taken the shape of the same success recorded during the Paris Consultative Group, the Head of Government thanked the technical and financial partners and the private sector for their commitment to the realization of 2016-2020 NMNP, seen as a vector of fair distribution of the benefits of economic growth. "